So you've got that nice camera that you bought while planning your wedding, or when you had your first baby....but you took it out a few times and were totally disappointed by the results. Am i right?! Or maybe you bring it to every one of your kids' sporting events just to have the images come out blue and blurry - SO FRUSTRATING!!! Trust me, I get it! There is a HUGE learning curve when it comes to using a DSLR digital camera, yet when you buy one at the store they hand you a manual and basically say "good luck!". Well I'm here to change that - your life is too damn beautiful (and important!) to let another day go by without making memories to add to your albums. With my help, you will dust that camera off, and become it's master! You'll know exactly how to use it and what all of the settings mean. You'll feel COMFORTABLE picking it up at a moment's notice to grab a quick shot of your kids, or your dogs, being especially cute and most importantly you'll now feel CONFIDENT that you're going to get the result you want, instead of putting it on AUTO and praying for the best. Come to my home studio here in New Fairfield, CT and let me walk through this process with you! In this two hour class we will go over all of the details and then put the into practice so you don't go home confused and overwhelmed. You'll also get to meet and learn with other people just like you, and continue the learning and practice through my private Facebook group! I can't wait to meet you and get you started on this journey of finally capturing your family the way it was meant to be. YES, I WANT IN! SIGN ME UP! The next step in your learning process! Now that you've got the basics DOWN, I want to help you further understand the ways you can manipulate light and color to better tell your story! 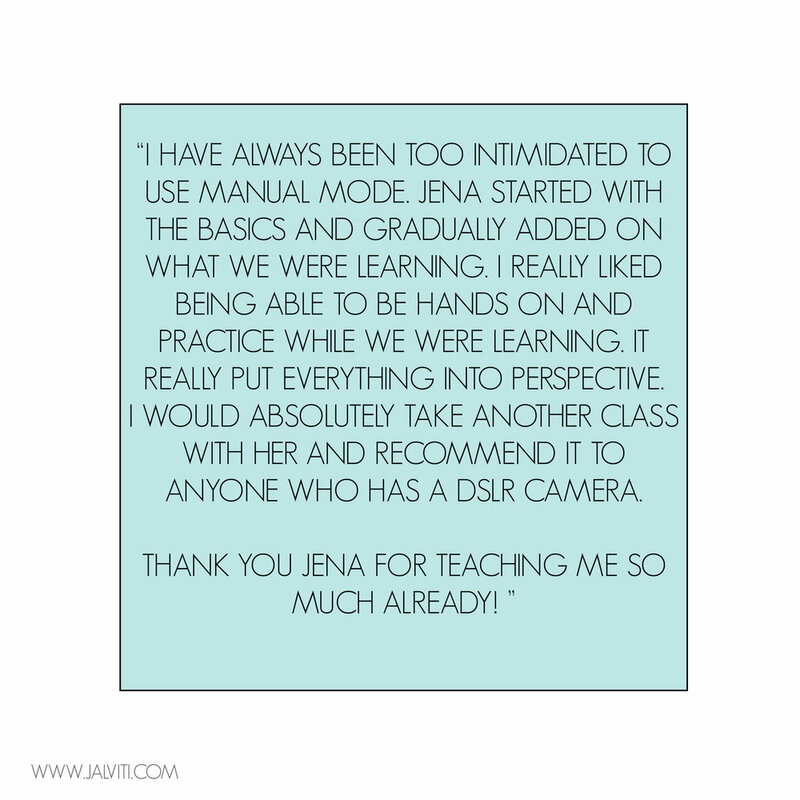 We'll review everything from the first class quickly, then dive deep into Manual mode. (AKA your new best friend) and why us professionals love it so damn much! We'll also talk about different lenses and flash options to use to get the results you're looking for. 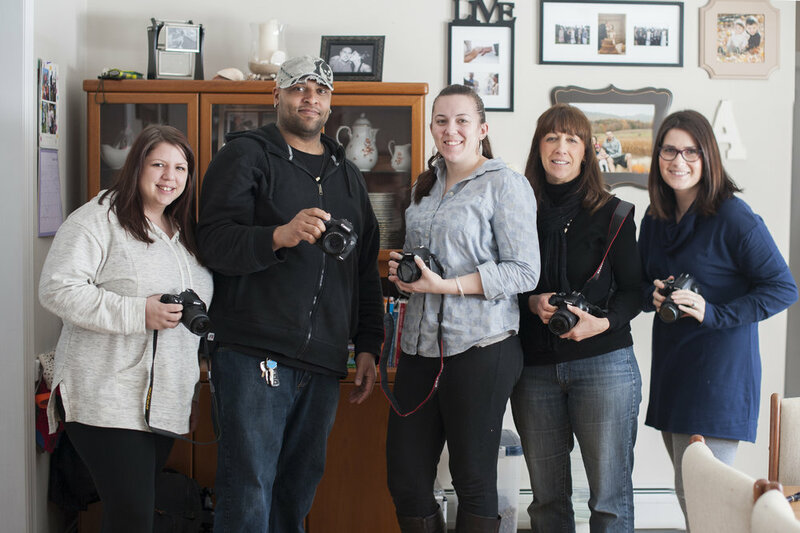 It's time to utilize your photography skills to help your small business, or to create a beautiful story of your family's adventures! This class is also about an hour and half, depending on class size, and will include both lecture and practice time so I know that you're walking away without any confusion! see what your peers are saying!